Delivering our very best in-home care service and holding ourselves accountable for our results is one of our guiding principles. 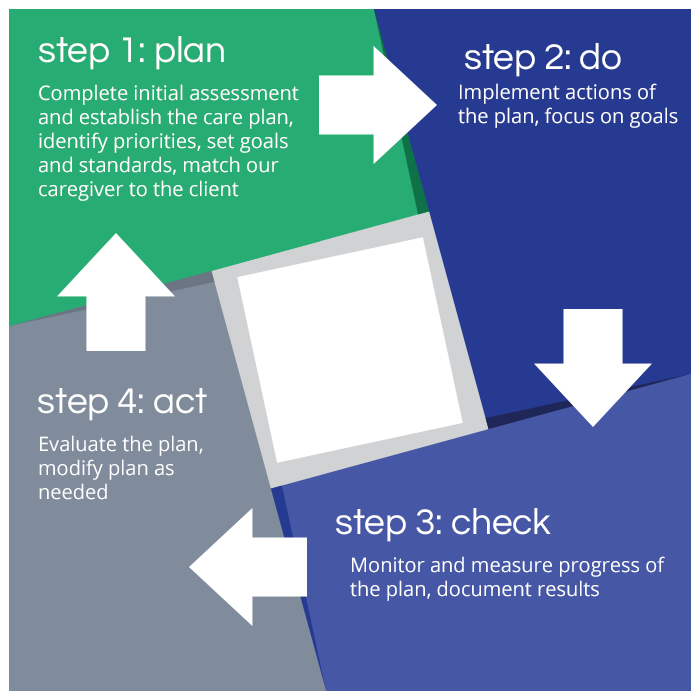 As soon as you choose us to become your homecare service provider, we implement our tried and proven process — PDCA — Plan, Do, Check, Act. This allows us to constantly monitor our level of service so that we may improve your experience with us. We are committed to remaining in communication with your family throughout the care process.